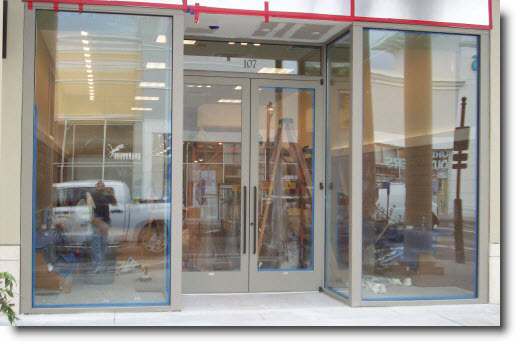 Universal Glass and Door inc. is the leading commercial glass company in ny specializing in custom glass storefront installations, replacements, renovations and repairs. We offer proffesional installation, with quality products at reasonable costs. 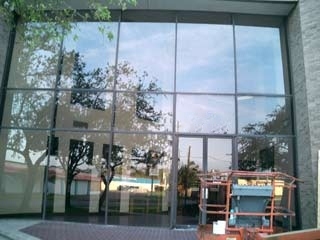 If your business storefront glass is damaged, we may be able to restore it by using mechanical restoration techniques. If not, we can install replacement glass that retains the look of your store. We designs and install commercial storefront windows for a wide variety of office buildings, high rises, health care, educational, and industrial buildings . At Universal Glass and door we offer a wide variety of options for configurations, frame colors, and glass types. If your business storefront is damaged that and you need to secure your business, you need emergency board up services to prevent trespassing and vandalism. 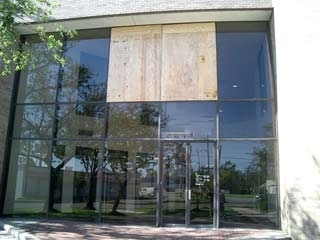 Universal Glass and door provides emergency board up services to New York, New Jersey and Connecticut area businesses that have been damaged as a result of theft, natural disaster, fire, or some other event. We offer prefabricated and custom made glass and windows.